The goals of the Design and Entrepreneurship course include giving the student a solid overview of the creation and principles of lean and scalable startups, and providing insight about creating transformative innovation in new and emerging economic sectors. As the course’s name suggests, a lot of time was also spent discussing the role of design and design thinking in entrepreneurial practice. In general the course was structured so that during its first half each of us researched a company of our own liking to get an overall idea for a business’ structure as well as its original driving forces, beginning stages and challenges. The last few weeks of the course were dedicated to developing our own concepts and startup prototypes partly based on the insight gathered from this first task. On Mondays we had lectures about topics that varied on a weekly basis, while on Thursdays we had quite intense workshops where we would form small teams and then rapidly develop new concepts in a few hours based on the given criteria, and then present them to others. After the workshops we were often given articles to read which we reviewed later on Monday morning. A prominent theme in the course was the Internet of Things. For the final assignment we had to design something that is related to that subject while keeping an eye out for new emerging areas where there could be room for innovation. I found that our ideation workshop sessions on Thursdays made it a little easier for me to approach the final assignment with more creativity and looseness. As I did some research about new technologies that are being developed, something that caught my eye was a project by Adobe called Voco. It’s a piece of software that, when it’s provided with enough audio data (roughly 20 minutes of a person speaking), it can learn a given person’s speech patterns, and then roughly recreate that person’s voice. This means you could record someone speaking, take the speech to Voco, and type in new words to replace words in that speech; essentially you will be able to put words into people’s mouths. As this technology gets more sophisticated, I believe voice editing is bound to become a solid trend in the future, and it’s good to be early in the game to gain a foothold in the business. This software could obviously be used for harmful purposes, but it also offers a ton of positive possibilities. 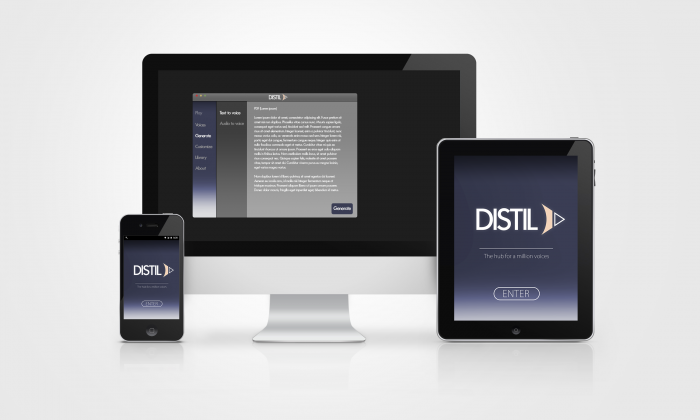 My project, DISTIL, looks to the future where access to this sort of technology is already available to consumers. 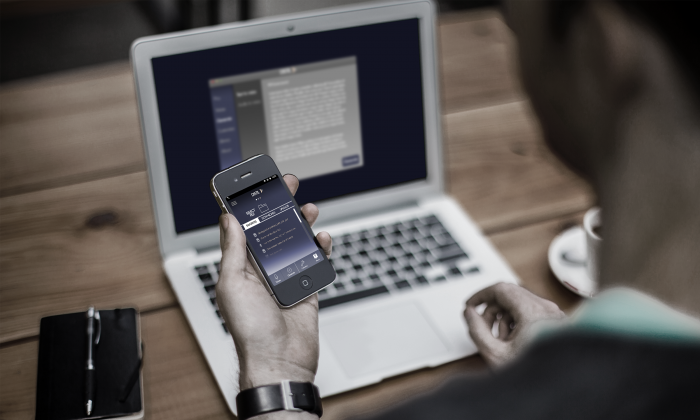 DISTIL essentially acts as a general interface that takes advantage of this technology’s capabilities in a simple, user-friendly way. 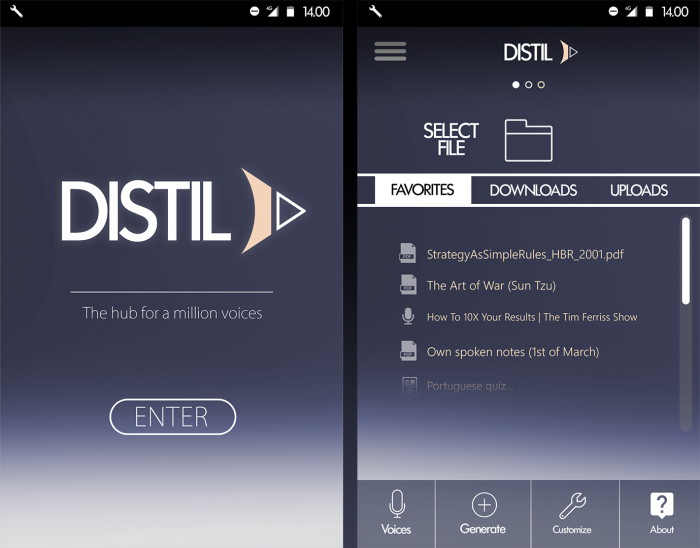 The purpose of the app is to turn available text input from various sources into neat audiobook form with customisable voice output. To give the app the voice of a celebrity, for instance, all you have to do is go online, find videos of that person talking, and give that material for the software to study through the app. 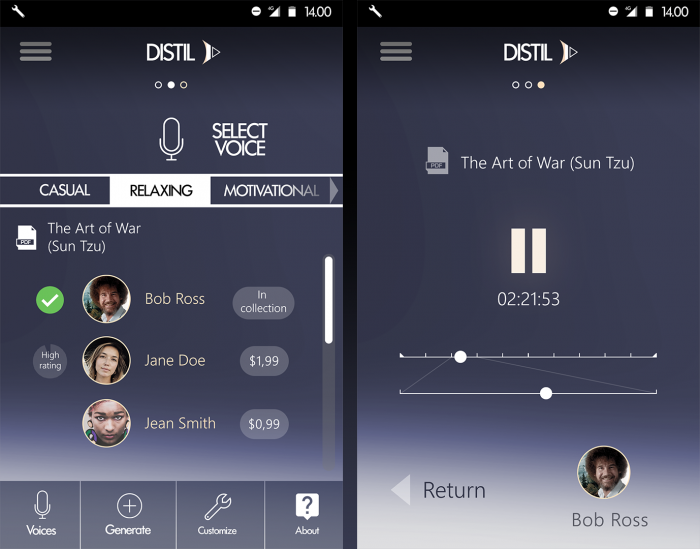 You can also record and have the app learn to speak in your own voice, or that of a friend or relative. There are many uses for this app: you could use it for educational purposes by scanning your school books’ pages with the app, have it recognise the text, and have the app read it to you in your favourite voice while you’re taking a walk outside. Or imagine having a backup of your grandmother’s voice, and having her voice read bedtime stories to your children after she has passed away. The amount of freely available input content is of course enormous, ranging from online articles to scanned books and self-made content. This technology could allow people to completely revitalise their existing book collections, for instance, as they’re able to have them output in any voice they want. 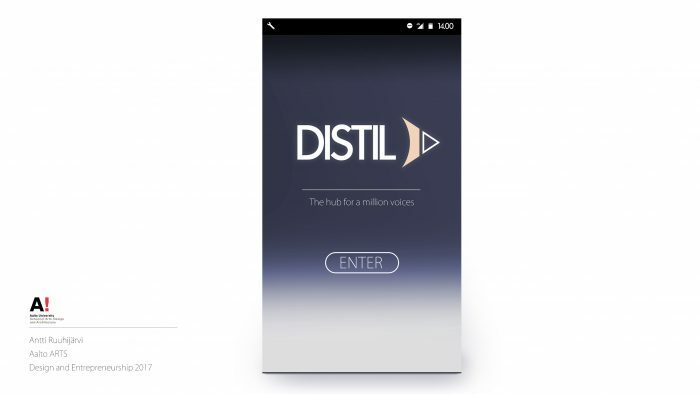 To support the wide variety of voice output, DISTIL could also provide a platform where people can sell their own voices. Sellers can also upload different styles of voices, for example in whispered or even shouted form, to fit users’ unique needs and circumstances. For some reason the course didn’t attract very many participants, and so there were only five students in the course in total. This wasn’t a bad thing, however, as we were able to get a lot of individual feedback, and we had a good atmosphere of free and open discussion as well. Due to the small group size it was also possible for each of us to work individually on the final assignment, which I found refreshing. As for my overall experience regarding the course, I entered the course basically as tabula rasa, with very little prior knowledge regarding many aspects of entrepreneurship and creating startups, so I inevitably learned a lot of new things. Running my own business in the future in one form or another doesn’t seem like a very distant idea either, so attending this course felt like a good move. Through the lectures, workshops, tutoring sessions and reading materials I learned to better understand entrepreneurial principles, terminology, concepts, and so on. I would recommend this course to beginners as well as those who are already much more familiar with the subject – and of course especially those who know they want to become entrepreneurs.